FARMINGTON - United Way is once again the beneficiary of the Teachers Lounge Mafia generosity as they perform their annual Christmas mature-audience rated show, ‘Stale Milk and Sour Cookies’. Teachers Lounge Mafia Comedy Improv Troupe has been making audiences laugh since 2008. 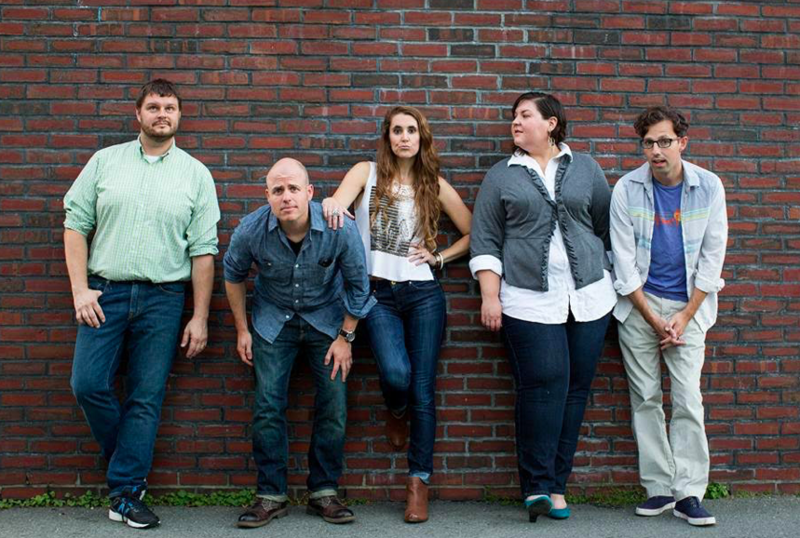 With their mix of traditional improv games, original games and Maine brand hilarity, TLM has been tickling the funny bones of audiences both young and old. Their Stale Milk and Sour Cookies show has benefited United Way of the Tri-Valley Area for the last few years and is a great way to get some much-needed laugh-therapy around the holidays. No two shows are the same and each relies on audience suggestions or participation on the stage itself, so come to both shows this year! Concessions are available at intermission at each show; milk (not stale) and cookies (not sour)! Stale Milk and Sour Cookies is sponsored this year by Sterling Electric. John LaBrecque, Master Electrician provides both residential and business work and is licensed in both Maine and New Hampshire. Tickets are $10 each and are available at Madore’s Market in West Farmington, Douin’s Market in New Sharon, Riverside QuikStop in Jay, and United Way of the Tri-Valley Area in Farmington. Tickets may also be purchased by calling United Way at 778-5048 or visiting www.uwtva.org/give just choose Stale Milk and Sour Cookies Improv from the drop-down box. Contributions from events like this support programs offered in the community like Meals on Wheels and Literacy Volunteers. Contributions also help support initiatives coordinated by the United Way like Packs for Progress (backpacks and supplies provided to area children who need it) and the Community Energy Challenge where custom-made interior windows are made in community workshops to help save energy costs. Children have access to camps and recreational opportunities or therapeutic services through the Hope Fund. Special Projects funding for organizations like Maine Adaptive Outdoor education center and Mallett School are also made possible through the support of generous donors. For more information about Teachers Lounge Mafia, United Way of the Tri-Valley Area or Sterling Electric, please them check out on Facebook.